Last weekend we shot the 2012 Texas Multigun Championship and had a blast. This years theme was the Pacific Theater of World War 2. The stages were set up to replicate Pacific battles. There were real Browning 1919’s and MG42’s at a couple of stages as well as a plethora of military vehicles including a tank. The LaRue BBQ trailer was there serving up free brisket and sausage all three days which is one of the reasons this match is so popular. A lot of thought and effort went into setting up the stages and they turned out great. 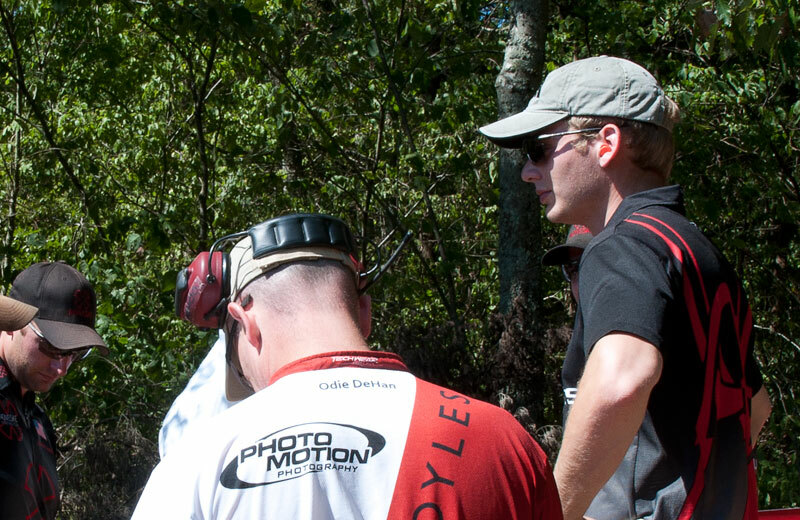 The stages were more challenging than last year and had multiple long range pistol shots which we loved. The most difficult stage was the long range stage. The wind was blowing roughly 20-25mph at full value when we shot it which made for challenging shots. There were a couple of lessons to take away from this match. I’m going to start running heavier and hotter shotgun loads. After watching the video from a couple of the shotgun stages, I could see the paint fly off a couple of steel targets and not go down. Those 1oz loads going 1200fps did not cut it. Cam had several great stages but realized that he could have benefited from a shotgun tube with more capacity. Over 450 people shot this match which makes it one of the largest matches in the country. If your a newer shooter and want to travel to your first major match, this is the one to go to. We will see you there next year. Our next match is the 3 Man 3 Gun in Topton, Pa. 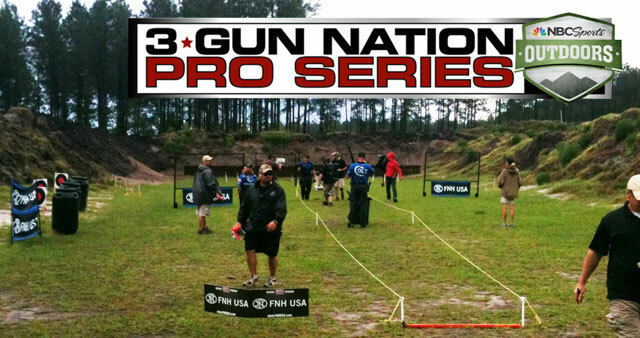 Recently, the 3-Gun Nation Pro Series kicked-off their inaugural invitational match. The organization invited the top 3-gunners from around the country to duke it out for a straight cash-payout prize. Match director Rob Romero set-up blazing fast courses with wide open shots and zero “no-shoot” targets. These stages challenged the best shooters to see who could meet the demands of the stage with the most speed. Each stage involved a 50 yard sprint which did not slow most competitors. It set the tempo for 3-gun “target shooting” to be more of an athletic sport. Cam shot the match and Ben was an RO so we decided to give two different perspectives of the match. 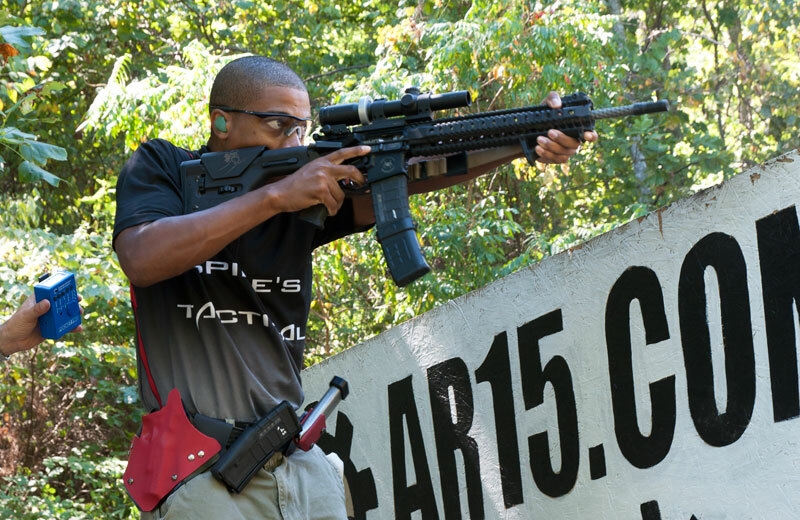 I was fortunate enough to be present as one of the top 64 3-Gun shooters selected from last season’s 3-Gun Nation points series scores and accepted the invitation to see how I stacked up against the competition. Although my squad didn’t bump into any camera crews this time, we still put down some impressive times and I was satisfied with my own performance up until I had some equipment problems with my shotgun. In this field, there was no room for mistakes, equipment malfunctions, or brain malfunctions. The match was set up to be a pure speed run with sponsors providing stage guns for each stage. Usually, these guns can cause many problems but this match was set up differently; the “stage gun” portion was not a part of the timed stage. The shooter started the timer after abandoning the provided stage gun. This new idea worked and any problems with the stage gun did not count as a penalty against the shooter. The event was exciting to watch and more importantly, it gave hundreds of spectators the opportunity to observe the sport of 3-gun and learn more about what competition shooters do. I was asked by a good friend to be a Range Officer at the match. I had never RO’d anything other than a couple local matches and was not quite sure what I was in for. I ran the long range stage along with Martin H. and Chris E. It was a very interesting and rewarding experience since, I was able to see what worked and what didn’t throughout the day. Whenever I break down a stage, I usually wondered if my time could be reduced if I tried something different but would never really know what the quickest way was to shoot the stage. After watching the best shooters run the stage, I learned a lot. 90% of the shooters shot the stage exactly the same and 5% shot it very creatively. The other 5% had problems that forced them to change their plans on the fly. Among other challenges at this match, the new “bull’s-eye” styled paper targets threw some shooters off. Overall, the match was run smoothly. A lot of things could have gone wrong (and did) but everyone was prepared for it. The match was almost cancelled after a torrent of rain blew through the area. Fortunately, the targets were made of vinyl so the rain did not affect them. In addition to that, the match director was open to making changes during the event to speed things up. It turns out that his flexibility paid off and we ended up finishing the event just before it was too dark to shoot. What I took away from this experience is that the best shooters all do the same thing as the average competitor; just faster and with fewer shots. With a few weeks left until the Texas/ LaRue Multigun, this was a great warm-up, see you in Liberty Hill, TX!